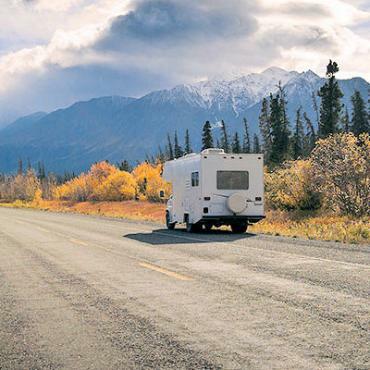 On this 18 night pre-planned motorhome adventure through Colorado, Utah, Arizona you'll discover some of this planet's most awe-inspiring scenery. 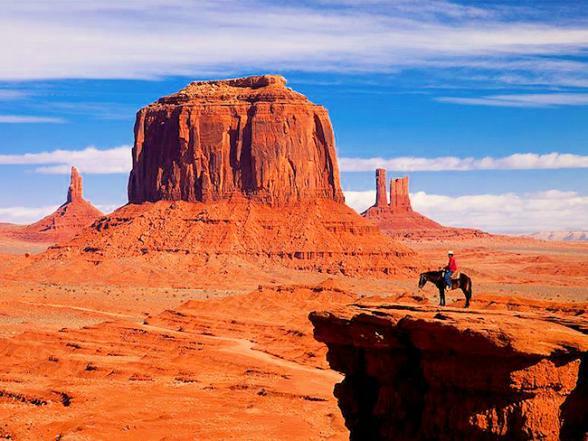 From the mighty Grand Canyon to the dramatic scenery and incredible national parks of Utah, to one of America's most jaw-dropping destinations - Monument Valley. 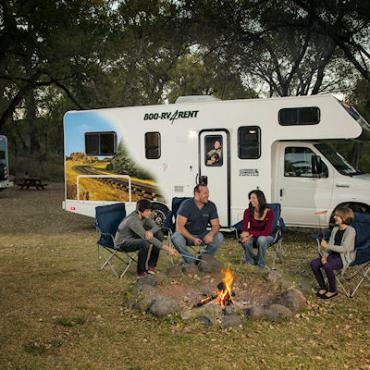 On this relaxed pre-planned motorhome holiday you'll travel with the knowledge that some of the most sought-after pitches and sites in the USA have been pre-booked for you. 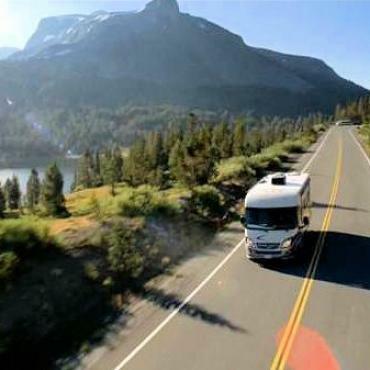 The relatively short driving distances that we've included on this motorhome holiday also ensure that you'll spend the maximum amount of time enjoying the amazing scenery that this region of the USA has to offer. 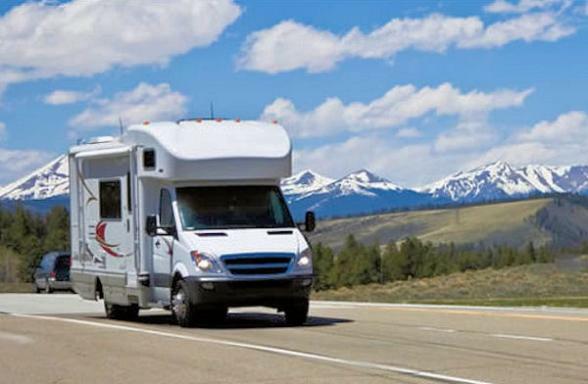 Arrive into Denver, Colorado and spend one night at an airport hotel prior to collecting your motorhome the following morning. Make your way the next day to to the motorhome depot. 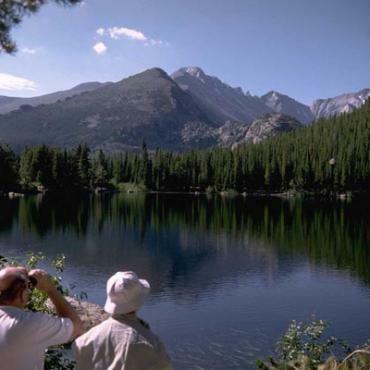 After the friendly staff at the depot have shown you around the vehicle and answered any queries you may have, it's time to hit the open road and head for Rocky Mountain National Park. 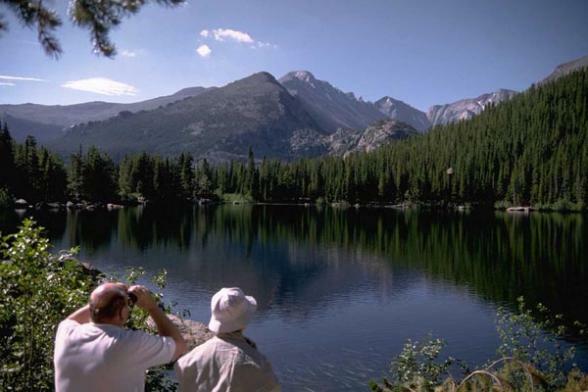 Spend your time in Rocky Mountain National Park either trail hiking, kayaking on the crystal clear lakes or for magnificent views of the park head for the aerial tramway. Travel through the heart of the American Rockies to your ovennight stop at the old mining village of Glenwood Springs, named the most Fun Town In America. Here you can enjoy a relaxing soak in the world's largest hot springs. Every day of the year the pool temperature here is 93 degrees fahrenheit. It's wall to wall scenery today en route to your two night stop in Moab in the heart of the Utah's Canyonlands Country. 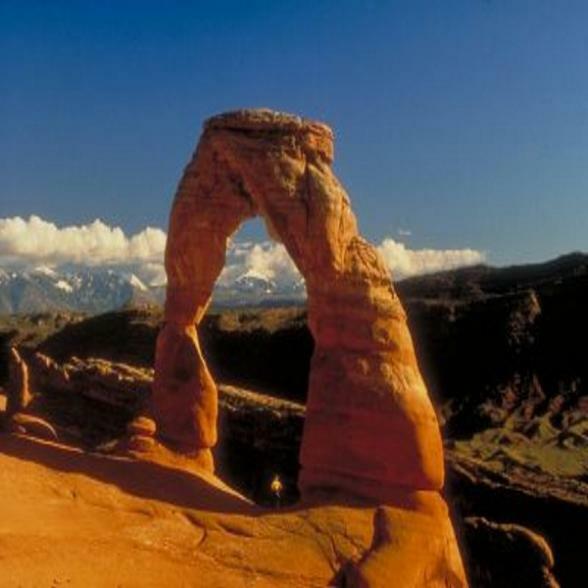 Most of Utah lies on a plateau some 4,000 feet above sea level and the geology of this region gives rise to an amazing variety of landscapes, shapes and colours. 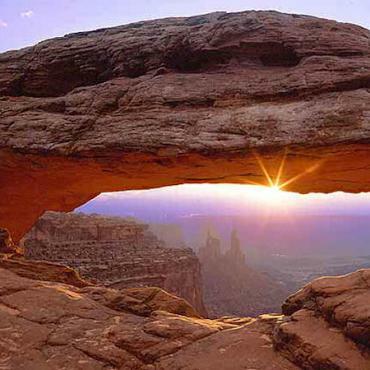 Spend your time here exploring Arches and Canyonlands National Park, as well as the lesser-known but still truly magnificent, Dead Horse State Park. Moab is also a popular base for white rafting along the Colorado River. Bon Voyage can pre-book this and other exciting outdoor activities for you in this region. 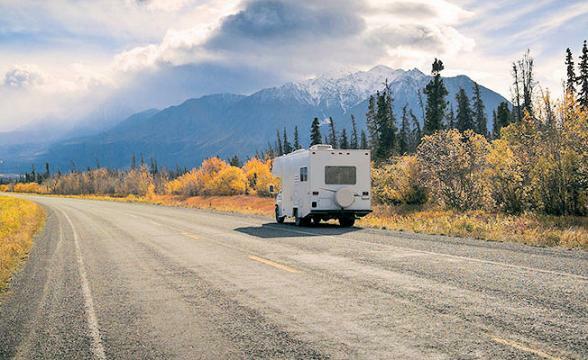 Leave the Canyonlands behind and journey in your home on wheels via Capitol Reef National Park to Bryce National Park via Scenic Byway 12 - one of America's most dramatic scenic drives. 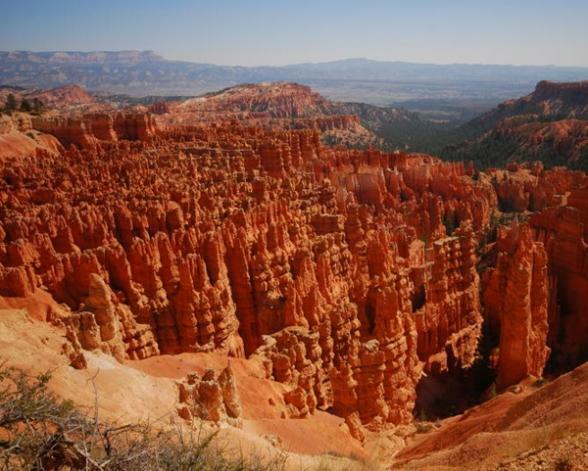 Bryce Canyon and Capitol Reef National Parks are the book-ends to this amazing road which also includes access to two of Utah's state parks, The Grand Staircase Escalante National Monument, and Boulder Mountain in the Dixie National Forest, which is North America's highest wooded plateau. 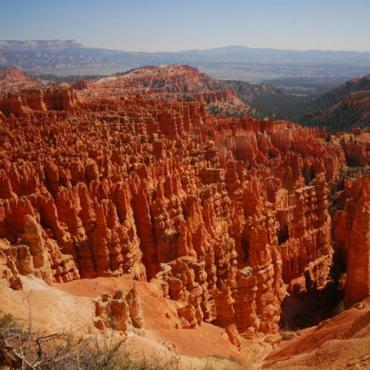 Once in Bryce National Park be sure visit Fairyland Point or enjoy a hike or horseback ride through Bryce Canyon. The drive along the rim of the horseshoe-shaped Bryce Amphitheater to Rainbow Point is an absolute must-do. In the evening don't miss the star-gazing programs usually held in the park. It's scenic highway all the way today to Zion National Park and its soaring sandstone monoliths. 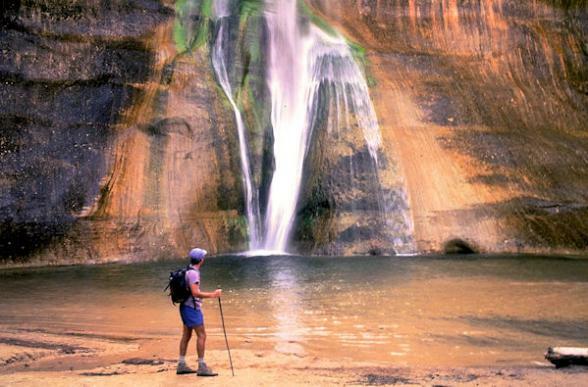 Zion is Utah's oldest national park and is know for its incredible canyons and jaw-dropping vistas. 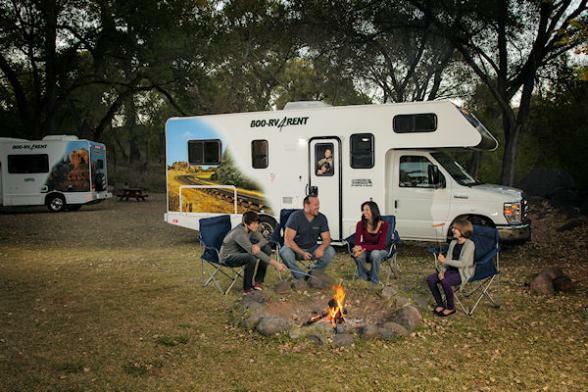 Arrive in the park early afternoon, park up the motorhome and enjoy a gentle hike to the Emerald Pools or Weeping Rock. 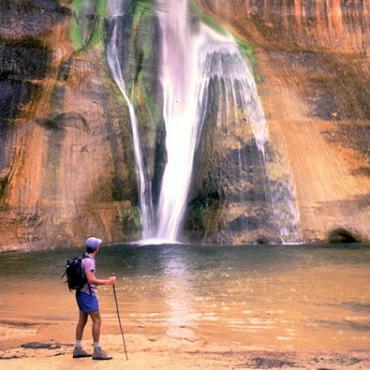 For the more adventurous check out Angel's Landing or The Narrows. 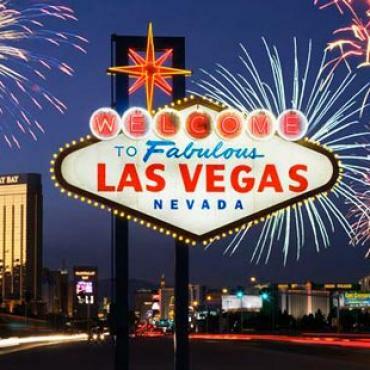 Las Vegas has got to be seen to be believed. This delightfully O.T.T city is at it's best when the sun sets and the neon lights appear. 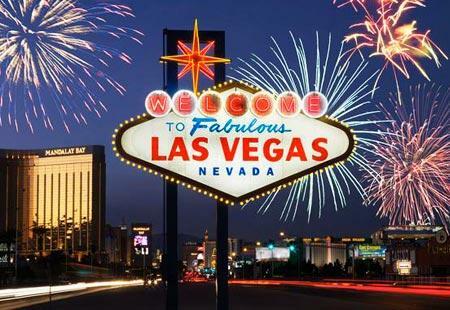 During your full day here consider a trip to the Neon, Atomic Testing or Mob Museum. For fabulous views over Vegas head to the top of the Stratosphere Hotel, or let Bon Voyage pre-book a helicopter flight along the Strip. If wanting to escape the city for a whiel then take a short drive to nearby Hoover Dam or Lake Mead. 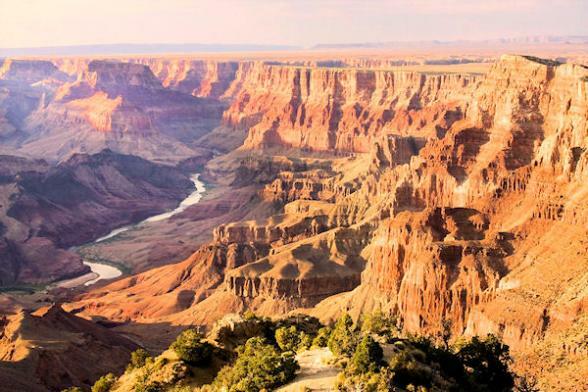 Today, travel via the Old Route 66 towns of Kingman, Seligman and Williams en route to the grand-daddy of all national parks - The Grand Canyon. Here you'll be camping amid the stunning scenery of the most beautiful natural phenomena on earth. Enjoy hikes for all abilities from the south rim, or a helicopter trip to the remote north rim. 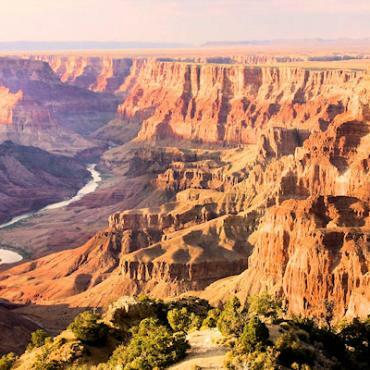 Be sure to rise early on your full day here and experience sunrise over the Grand Canyon, it's sure to be one of the highlights of your motorhome holiday. 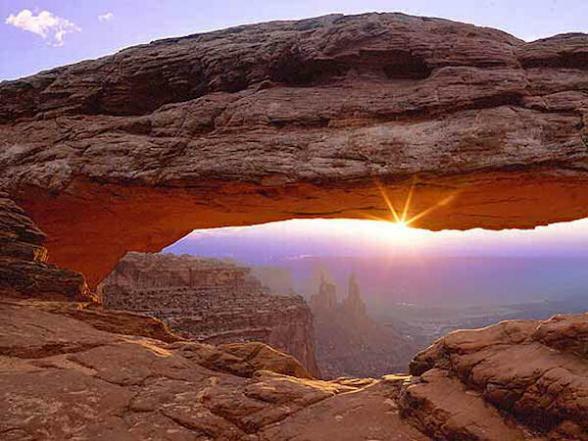 Rise early today and journey east to Monument Valley. Straddling the border of Utah and Arizona, you'll get a feeling of deja vu as you cruise through this valley. For decades it's been the setting for famous western movies and was the legendary Hollywood director, John Ford's favourite movie back drop. 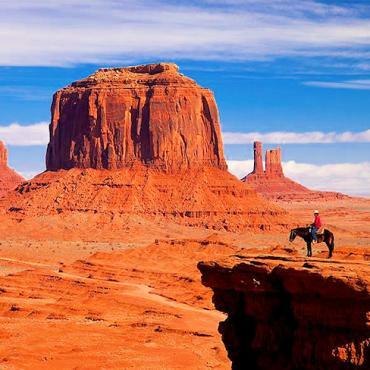 Monument Valley is an area of monolithic sandstone rock formations that rise majestically from the desert floor. With some towering 1,000 feet from the desert floor, they create a truly amazing desert landscape which is extra magical at sunrise and sunset. Take time out here to explore the valley and learn about its myths and legends from a Navajo guide. Bon Voyage can pre-book this experience for you. Cruise across the Arizona/Colorado border today en route to Mesa Verde National Park. En route you may wish to take a side trip to the famous Four Corners area of the USA, this is where Arizona. Utah, Colorado and New Mexico meet. It makes for an interesting detour. 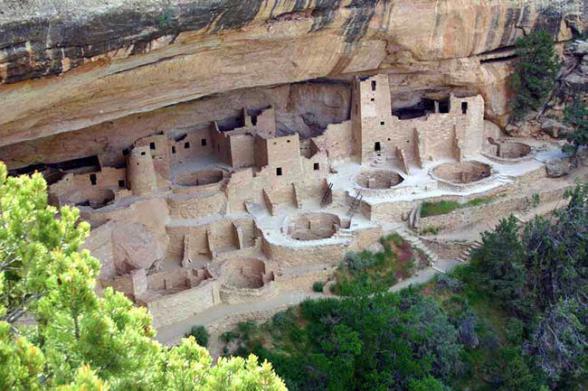 Mesa Verde National Park, a World Heritage Site, this is the world’s only man-made national park and the only national park in the US exclusively devoted to archaeological remains. 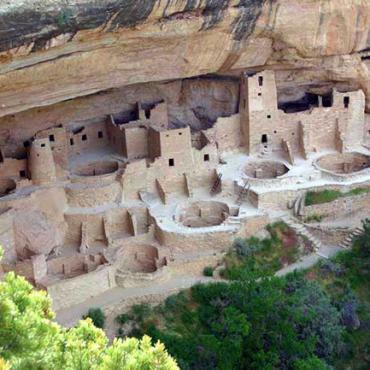 During your time here, be sure to explore the famous 13th Century Cliff Palace, former home of the Anasazi Indians. It's a short drive today to your next stop, the historic town of Durango at the base of the Rocky Mountains. 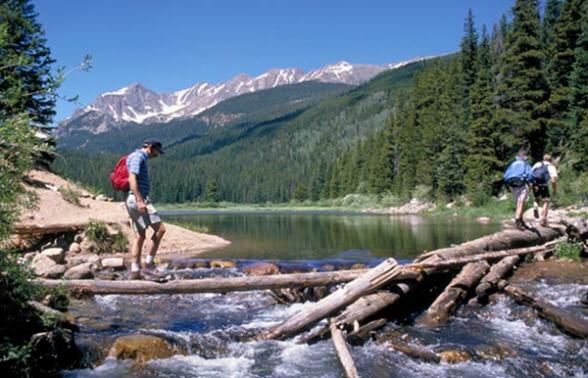 Head for the Animas River for a spot of white-water rafting or jump on the Durango-Silverton Narrow Gauge Railroad for a scenic ride through the mountains. 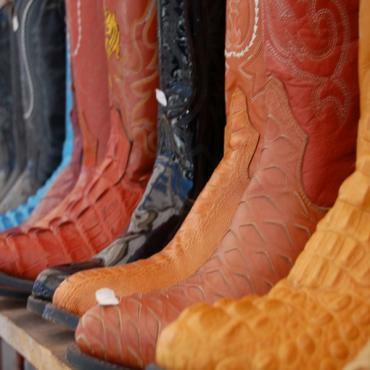 Step back in time at the Diamond Belle Saloon in the historic Strater Hotel and enjoy live ragtime music, or mooch around the western boutiques in the lively downtown quarter. Today, it's scenic byways and stunning mountain roads all the way to your overnight stop in the old gold mining town of Leadville, Colorado. En route you may wish to take a detour to the Great Sand Dunes National Park Preserve, the highest sand dunes in North America and not what you'd expect in the middle of the Colorado alpine scenery. 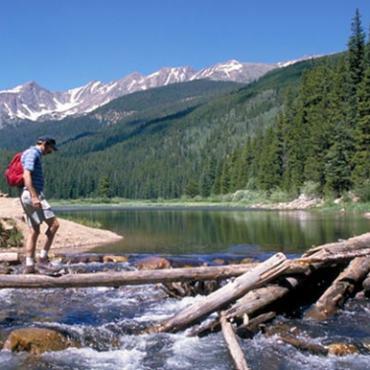 The historic mountain town of Leadville is nestled among the highest peaks in Colorado and is surrounded by forests, pristine streams and glacial lakes. Take your time driving through this region, the scenery is so spectacular you won't want to miss a thing. Drive through the phenomenal scenery of the Rocky Mountains en route to the Mile High City, Denver. 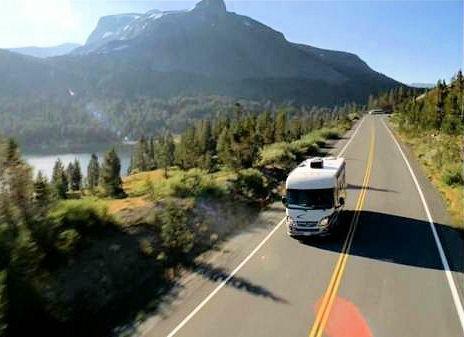 Return your motorhome before you board your early evening flight back to the UK. However, your adventure doesn't have to end here. You may decide to extend your stay and perhaps spend a few days exploring America's great cities, maybe a stop over in Boston or New York City. 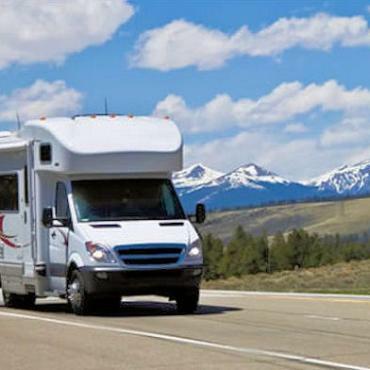 Call the USA travel specialists at Bon Voyage to discuss your perfect Pre-Planned Motorhome Holiday to Colorado, Utah and Arizona.